We’re exploring how growth and development could happen in a meaningful way in the community of Bridgeland-Riverside. 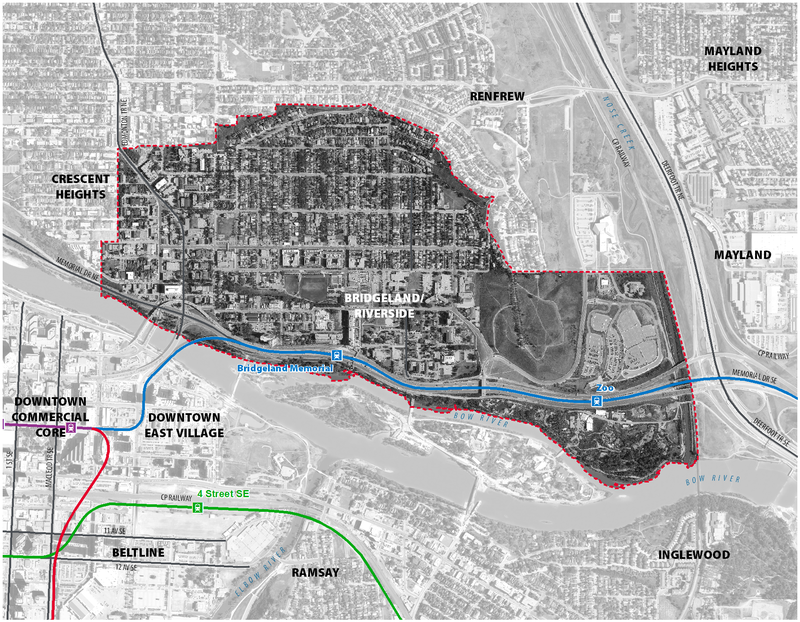 The City of Calgary is in the process of creating a new Area Redevelopment Plan for Bridgeland-Riverside. 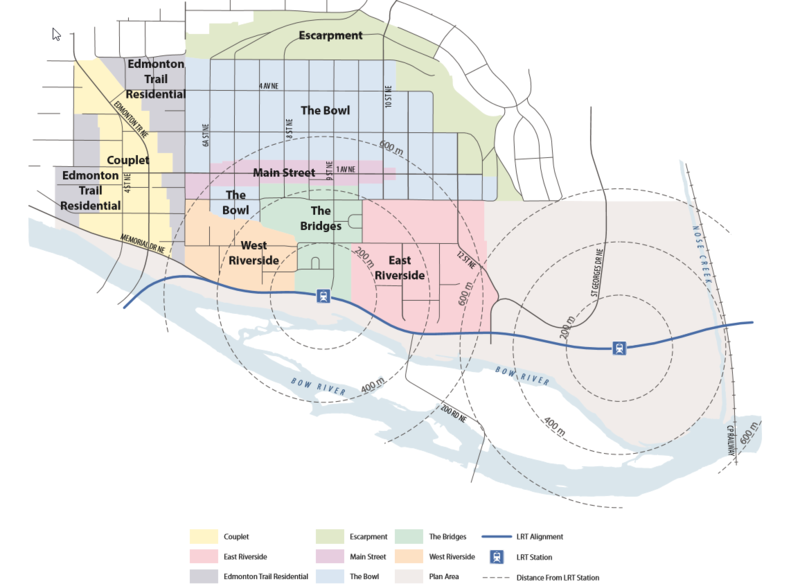 The original Bridgeland-Riverside Area Redevelopment Plan (ARP) was adopted by Council in 1980 and is out of date in terms of policy and direction. The new ARP will establish a vision for the area and guide future redevelopment. 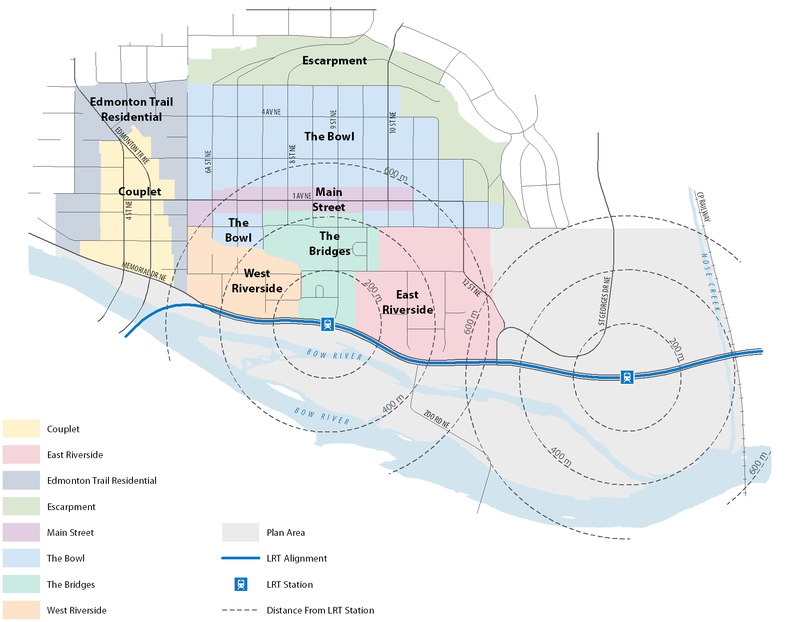 The Bridgeland-Riverside ARP will address future redevelopment types (e.g. 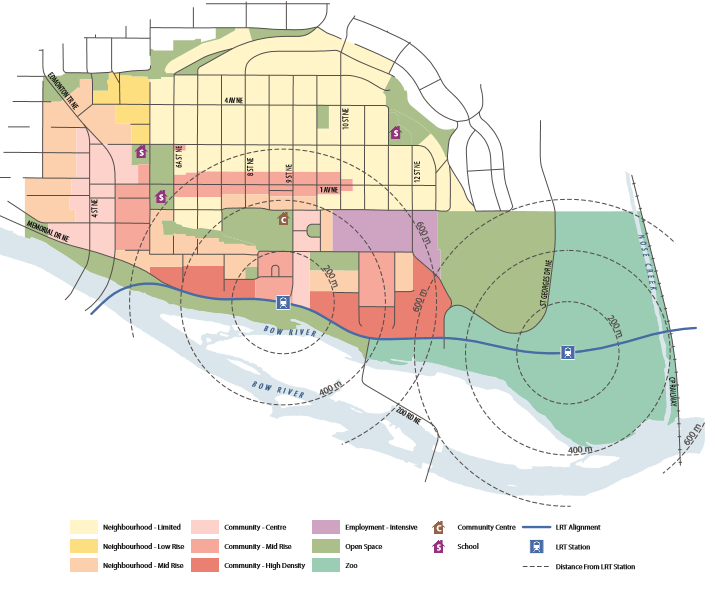 residential, commercial), pedestrian and cycling connections, transportation and parking, open spaces, building heights and densities, and design. The ARP will take approximately 18 months to draft and is anticipated to be presented to City Council by Spring/Summer 2019. The ARP process will be collaborative and will involve working with the Community Advisory Group as well as area residents, landowners, business owners and industry experts. Please click the link to view the draft ARP. The 1 Avenue N.E. Streetscape Master Plan project is also launching in your community. We’re developing a plan to enhance this Main Street in a way that meets the needs of current and future residents, visitors and businesses. In 2016, The City began working with Bridgeland-Riverside Community Association and area landowners to create a Master Plan for the East Riverside area. The Master Plan, which covers the area of land south of Centre Avenue N.E. 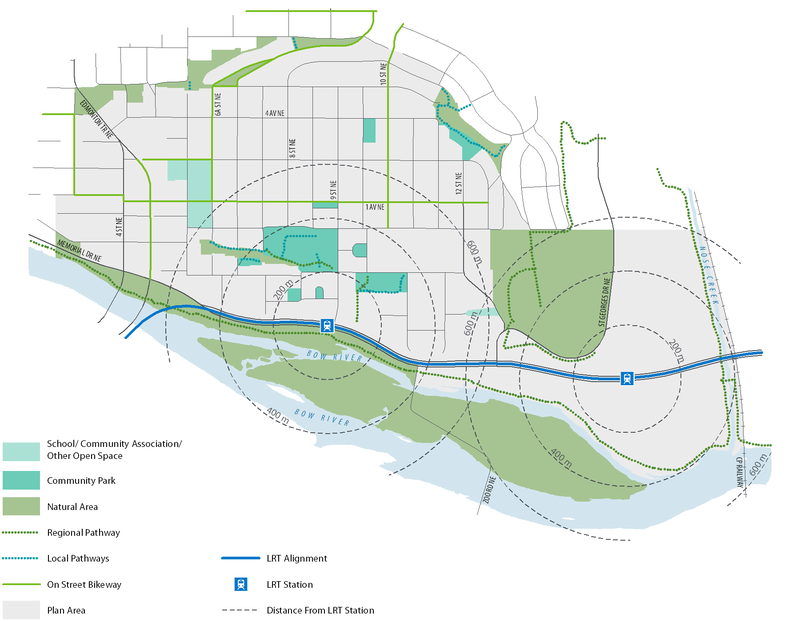 and east of 9 Street N.E., sets out a vision for the East Riverside area and principles to achieve this vision. 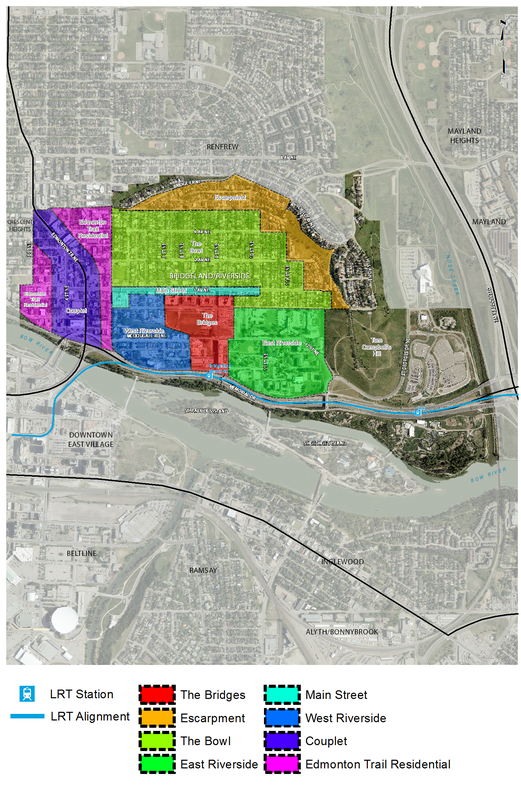 As The City begins work on a new Area Redevelopment Plan for Bridgeland-Riverside, the content of the Master Plan will be used and incorporated into the new Area Redevelopment Plan where possible. The City has been engaging with the community of Bridgeland-Riverside since Fall 2017 to inform the creation of a new area redevelopment plan. In the first phase of engagement, in Winter 2017, The City collected input to inform draft character area statements, a vision for the area, and draft land use concept and specific policy statements. To review the What We Heard Report from Phase One, please click here. In our second phase of engagement, in Spring 2018, The City shared draft land use concept, the character area statements, vision for the area and a draft version of the policy. The City collected input from the community to help confirm work in Phase One and get insight into further policy development. To review the What We Heard Report from Phase Two, please click here. Please click through the tabs to see an overview of past engagement and what has been asked. To stay up-to-date on this project and learn about future opportunities, please sign-up to receive email updates here. The vision and core ideas for Bridgeland-Riverside were developed from feedback gathered at our October 2017 open house and through discussions with the Community Advisory Group, which is comprised of local residents and business owners. This vision and core ideas was shared at the April 30 open house for feedback for comments. A vibrant urban neighbourhood with rich history and character that can be seen in its buildings’ architecture, street grid patterns, and spirited sense of place shaped through a diverse mix of residents. Its central location in Calgary provides direct access to the river pathways, parks, the LRT, and downtown. Nestled in the natural escarpment just north of the Bow River, the area has beautiful views and tree lined streets. As it evolves, the community will build on its great public amenities, strong multimodal transportation connections, housing diversity, and vibrant main streets. Bridgeland-Riverside will celebrate its heritage and continue providing a dynamic place for its diverse residents and visitors to live, work, visit and enjoy. Bridgeland-Riverside is a vibrant, urban community that will continue to celebrate its heritage, and character as it evolves, providing lively places for both diverse residents and visitors to enjoy. preserve local history and historical buildings, and support development that complements historic development patterns and architectural features wherever possible. support a mix of compatible uses including retail, office, residential, live work units, as well as amenities such as parks, green space, and public spaces; . encourage community cohesiveness shaped by a high level of engagement, social programing, and a diverse mix of residents. Is there anything missing from the vision that you think should be included and please tell us why? The draft land use concept illustrates the general location and relationship between land use character areas, the transportation network and parks. Land use building blocks found in this land use concept map are based on the character areas established in the Developed Areas Guidebook. The building blocks outline height restrictions and allowable building functions in a specific area. 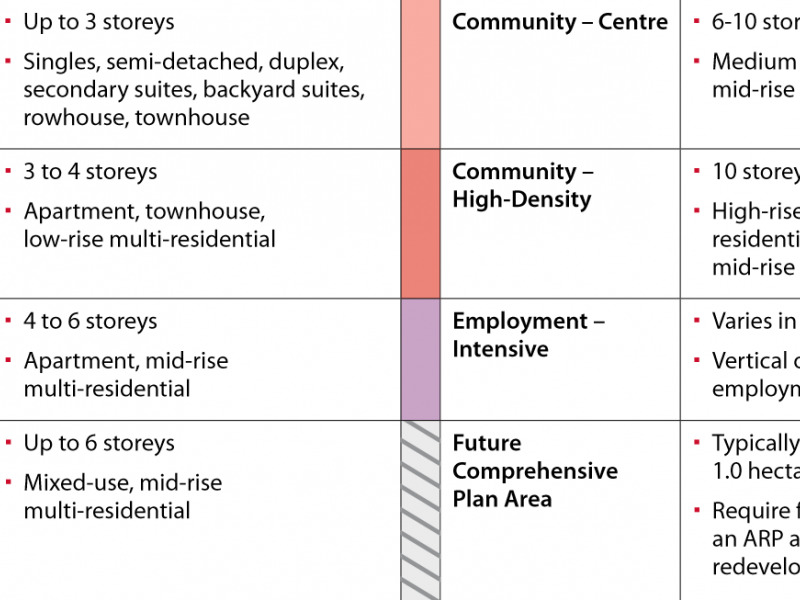 Are the building blocks (see definitions) placed appropriately within all the areas of Bridgeland? Please tell us why yes, why not? Please be specific if you have any comments/ concerns about the building blocks location. The plan area is served by major road, transit, pedestrian, and cyclist connections. 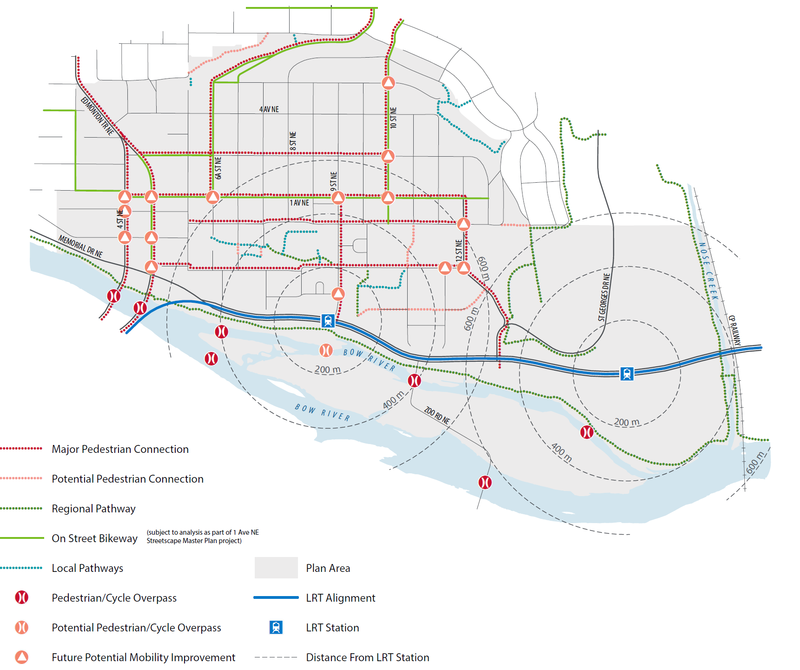 The policies in the ARP are intended to improve existing connections, and make walking, cycling, and transit use more desirable choice in the community. 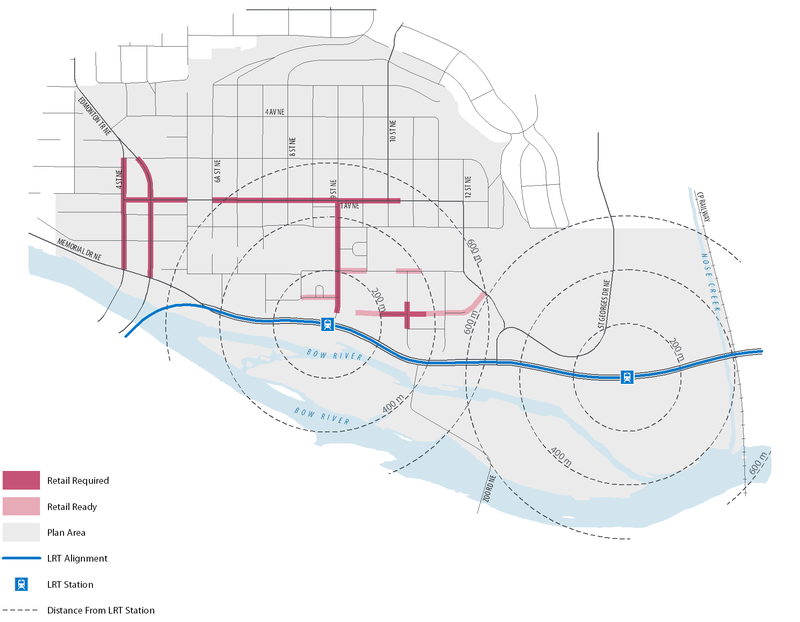 The future connectivity maps identify potential future connectivity and potential future mobility improvement within Bridgeland-Riverside. 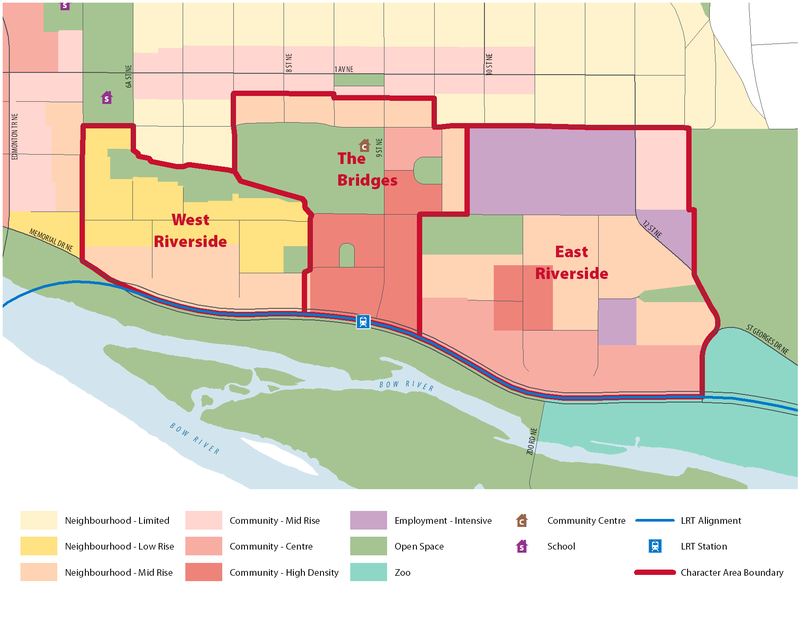 Do you have any concerns, and comments about the future connectivity in Bridgeland-Riverside as you see them on the map? Please tell us why? The parks and open space map identifies existing and proposed parks, open spaces and pathways. The policies in the ARP are intended to maintain and enhance the quality amenities that serve the community’s needs, for the benefit, use and enjoyment of residents of all ages. Do you have any concerns, and comment with identified open spaces, pathways, and parks? Please tell us why? 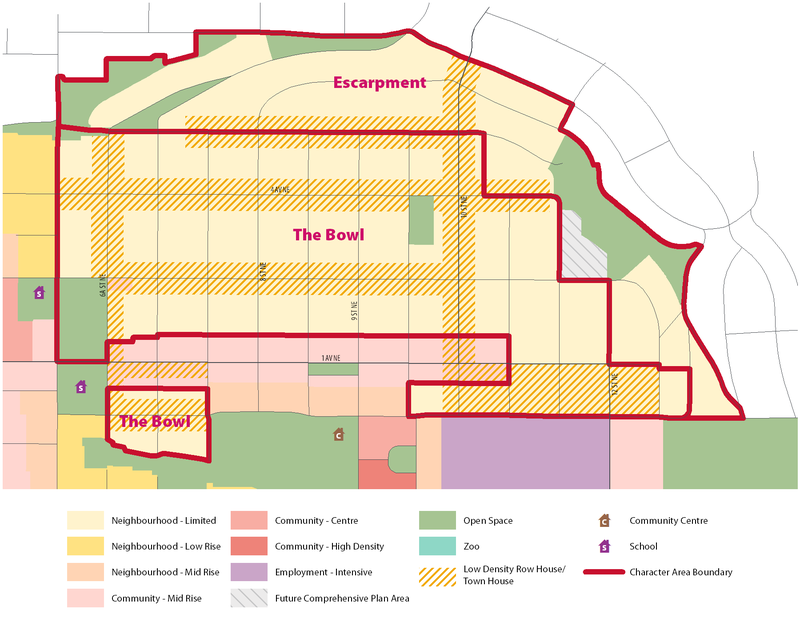 The Bowl: The area has a distinct street pattern of tree-lined blocks with back lanes, offering primarily low-density residential housing, and a combination of historic and infill houses. With a focus on maintaining the historical character, the area will continue to accommodate lower-density residential options as new development is integrated into the existing street pattern. The Escarpment: Describes the residential area extending up the bluff. The Escarpment has steep topography, with a number of pedestrians and cycle pathways and connections winding up and to adjacent communities. The Escarpment supports slope-adaptive low-density residential housing alongside infill housing. The following areas (see map) have been identified as potential rowhouse/ townhouse locations within The Escarpment and The Bowl. Do you have any comments and or concerns with location of these and why? Are there any other potential locations for rowhouse and townhouse? Please tell us where and tell us why? Main Street: A commercial and social focal point of the community, the area is designated as a Neighbourhood Main Street. Mid-rise development along the Main Street offers a wide range of uses including retail, services, office, institutional, and residential. Public realm improvements will enhance the street to support commercial vitality, greater variety of employment opportunities, transit use, and provide goods and services to local residents. The Couplet: The western gateway into the community, ‘The Couplet’ offers mixed-use, mid-rise buildings to accommodate a range of retail, services, offices and residential uses. Edmonton Trail and 4 Street NE provide multimodal connections north-south to and through Bridgeland, while a walkable pedestrian environment ensures safe and vibrant street activity. Edmonton Trail Residential: The area is characterized by multi-residential, small scale commercial buildings and institutional uses. It is expected the area will intensify and increase in density over time, offering unique slope adaptive designed redevelopment. Do you have any comments and/or concerns for any of these areas in regard to the building blocks that have been applied in those areas, please tell us why? West Riverside: The area offers a mix of residential options - unique character homes, low-rise multi-residential, as well as new infill development and higher density development closer to the Bridges and the LRT. It provides safe local connections for pedestrian, cyclists and vehicles across the south-west side of the community. The Bridges: One of the key gateways for residents and visitors, The Bridges contains multi-residential developments with main level commercial along key streets and well-connected park amenities. Close to the LRT station, it will accommodate higher density, pedestrian-friendly commercial and transitsupported mixed-use development. East Riverside: The majority of East Riverside is residential, assisted living and health care institutional-related uses. As the area redevelops a mix of multi-residential options will bring new residents to the area expanding the demographic profile. Mixed-use commercial will be located along key streets and improved connections will allow safe access to amenities. The area closest to the LRT station will accommodate higher density development. Do you have any comments and/ or concerns for any of these areas in regard to the building blocks that have been applied in those areas, please tell us why? Active frontages help activate the street and provide interaction between pedestrians and building uses. Building frontages located along streets where an active frontage is identified should be designed to generate activity, provide natural surveillance, and create an interesting and comfortable environment for pedestrians. Retail-Required Frontages: Provide active uses at grade, including but not limited to retail, personal services, consumer services, supermarkets and restaurants, and community service uses, including child care. Retail-Ready Frontages: Ground-floor units should be designed to accommodate both residential and retail uses and will allow residential to retail conversion over time. Are the proposed active frontage locations acceptable for these areas? If not, why? The vision and core ideas provide direction and a foundation for planning within the community. 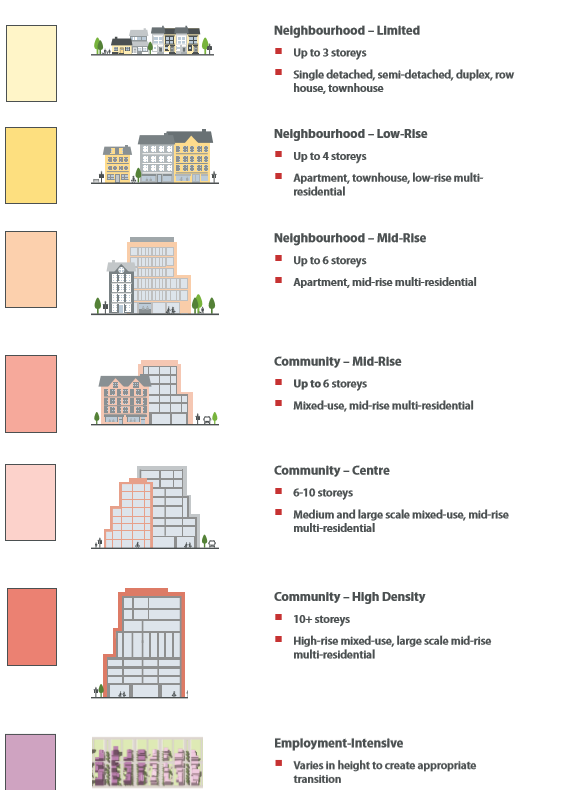  Provide a diverse range of housing types and increase overall density in appropriate locations compatible with each ‘Character Area’ in order to accommodate a broad demographic group, ranging from old to young and singles to families.  Integrate new development into the historic yet evolving community character. Preserve local history and historical buildings, and support development that complements historic development patterns and architectural features wherever possible. 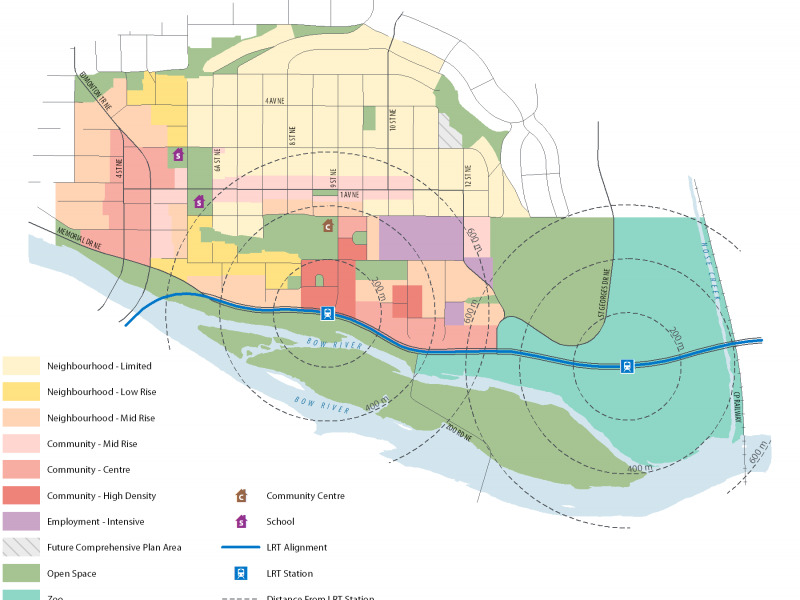  Integrate Transit Oriented Development through guided intensification of the land near the Bridgeland Memorial LRT.  Support commercial and mixed-use development with vibrant and safe public realm space, providing day-through-night activity along the Urban and Neighbourhood Main Street.  Enhance existing local amenities through a comprehensive strategy and new/redevelopment opportunities, as well as prioritize safe and flexible public and open spaces, and a well-connected pathway network.  Provide a range of multimodal transportation choices to facilitate efficient movement of all modes of travel.  Encourage transit and active modes as the preferred transportation option by providing safe and comfortable pedestrian and cyclist routes, and strengthening the connections to the Bridgeland Memorial LRT station.  Encourage community cohesiveness and the continued spirited sense of place shaped by high level of engagement, social programing, and a diverse mix of residents. Are there any other core ideas that should be included and why? Character areas are sections of the community grouped together based on unique characteristics and development patterns that require special consideration to meeting planning objectives. 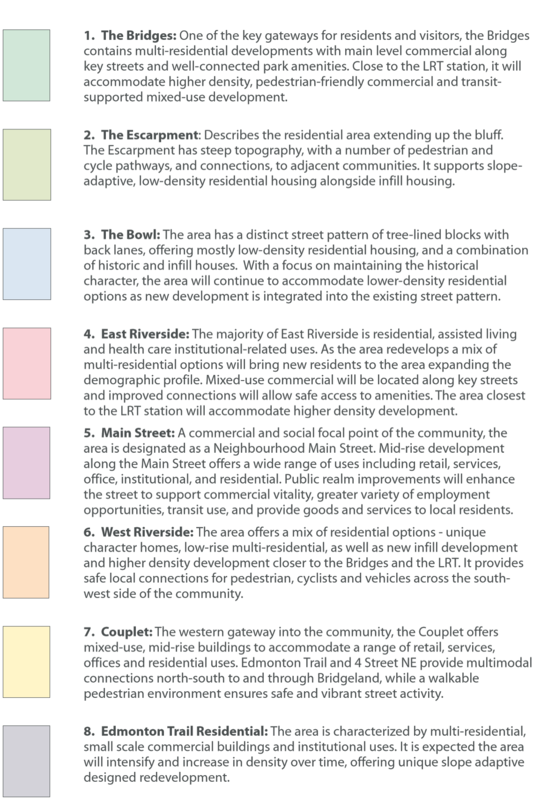 There are eight character areas identified within Bridgeland-Riverside. Do the character area descriptions accurately describe how you envision the character area in the future? Based on the unique features and considerations in the character areas, building blocks for the community have been identified. The building blocks outline height restrictions and allowable building functions, in a specific area. This map is not intended to change the regulations that apply to the existing development, but outlines what land use districts are acceptable for redevelopment in the future. Do the Bulding Blocks accurately reflect your vision for the Bridgeland-Riverside? Why yes, why not? Please be specific if you have any comments/concerns about the "building blocks" in certain areas of Bridgeland/Riverside. The group provides local area context and insight to The City in drafting of the ARP. With the help of the Group, eight character areas were identified and shared with the public. These character areas are the foundation that led to the development of the building blocks in the land use concept map. 227 comments on what residents love, what areas need improvement and descriptions for character areas. 379 unique visitors to the webpage and 362 comments were received. Bridgeland-Riverside is well-loved for its walkability, good local amenities and close proximity to downtown. Bridgeland-Riverside has unique community character which some described as: fun, friendly, historical, community-minded, eclectic and quirky. Community members desire improvements made to safety with respect to crime reduction and pedestrian infrastructure and lighting. 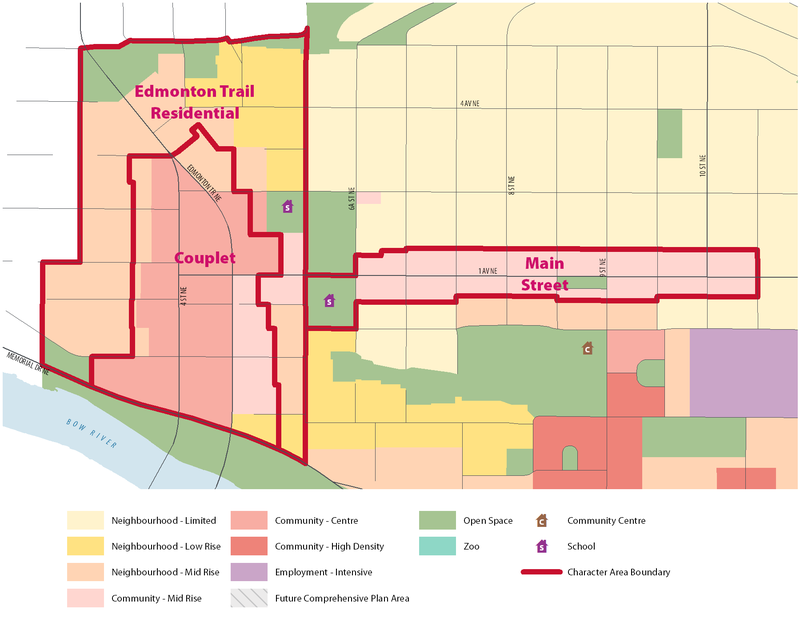 Community members desire public realm improvements to provide safe pedestrian and cycle connections to key areas including along main street and connecting across Edmonton Trail and 4 Street NE, across the escarpment, and to the LRT. Community members desire a larger grocery store in the area and made other specific suggestions for additional retail and commercial. Please provide your input into vision and core ideas, character area descriptions and land use concepts below. The first phase of public engagement took place in November and December 2017 through an in-person open house and online survey. Based on this feedback, The City has put together the Phase One: Bridgeland ARP What We Heard Report, which captures all of the feedback we collected. The report includes high-level themes as well as verbatim comments. The report will be used by The City as we work towards updating the Bridgeland ARP. These information panels were provided for review to inform answers to the questions below. Tell us what you love most about Bridgeland-Riverside. Tell us what you would like to see improved in Bridgeland-Riverside. Tell us how you would like to receive information and provide feedback on the ARP work going forward. (Check all that apply in both sections). Eight character areas (on nine maps below) have been identified in the Bridgeland-Riverside community. We are seeking your feedback to see if you generally agree with the boundaries of these areas and to find out what you think the character of each area is, and what should be preserved or changed in the future. This input will guide the development of policies for each of the character areas. This map feedback tool is now closed. We asked you to drop a pin and tell us your comments about the area boundary, what you think the character of the area is and what should be preserved or changed in this area in the future. Citizen feedback provides Administration and City Council with valuable, local knowledge of the community and the proposed redevelopment plan area. Feedback collected during the engagement program will be considered as The City works to adjust the draft Area Redevelopment Plan and conducts technical review of the policy. All feedback collected throughout our program will be summarized and used to inform final reporting to Calgary Planning Commission and Council. Community Advisory Group application deadline. The City reviews the applications and selects the Advisory Group members. Community Advisory Group selected and introductory meeting confirmed. Project plan created for the ARP. Stakeholder engagement to develop concepts for the area. Final ARP prepared. Tentative timeline for City Council public hearing.